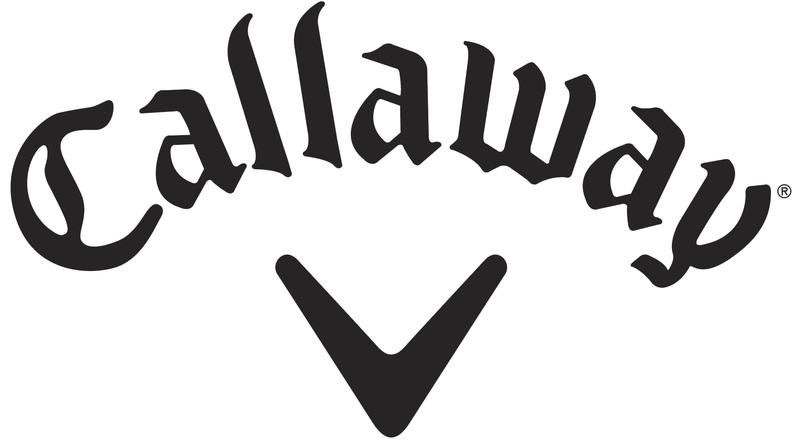 Callaway Golf Company (NYSE: ELY) put together a video series featuring Roger Cleveland their Chief Club Designer and Director of Fitting & Instruction, Randy Peterson to kick off the Mack Daddy 2 wedges. Phil Mickelson is playing these new forged wedges which Callaway says provide more spin due to larger grooves and buyers will have a choice of three stock grinds. Called “Wedgeducation,” the videos have several short game tips and instruction on how to get the most out of the scoring clubs. 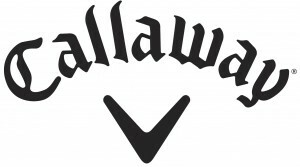 They may be found at www.CallawayGolf.com/wedgeducation. Mack Daddy 2 wedges with 56-degrees of loft and higher have Callaway’s 5V grooves that are wider and more aggressive to produce more control. According to the company 5V grooves are 39 percent larger and give 25 percent more spin than previous Callaway wedges. Lower lofts also have the wider grooves but with a larger angled draft (20-degrees versus 5-degrees). The U-Grind has a concave sole and the tightest radius of the three grind options which produces a significantly relieved heel and toe. This allows the leading edge to stay low and under the ball when opening the face to add loft. This grind is versatile in both firm and soft conditions. The C-Grind is also relieved in the heel and toe and the depth of the sole is narrow to help produce proper contact for performance in both firm and soft conditions. The S-Grind — or Standard — is relieved in the heel only, and is best suited for firmer playing conditions. 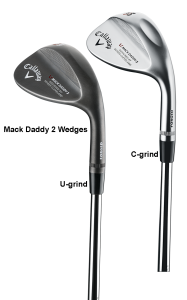 Mack Daddy 2 Wedges will be in stores July 12 for $199 in 52-, 56-, 58- and 60-degrees and in November 47-, 50-, 54- and 64-degree lofts.